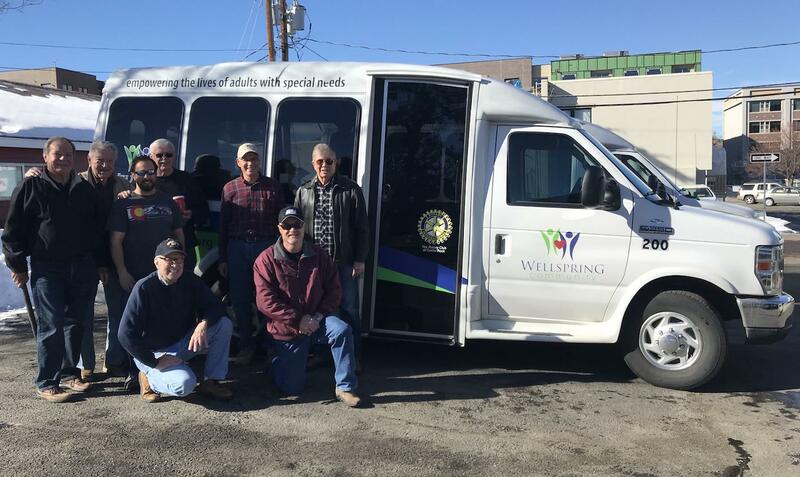 The Rotary Club of Castle Rock members after cleaning four Wellspring Community buses. This effort is part of the District Grant which helped purchase a new 15-passenger for Wellspring. Members from left to right: front row, Judson Mitchell, Ron Zuroff; back row, Ray Gehlen, Al Wonstolen, Dave Slossberg, Les Houck, Jerry Lionetti and Paul Dassel. The club meets Wednesday at 7 a.m. at the Village Inn in Castle Rock. Visitors are always welcome.